Centered at only 4 km north from La Fortuna, The Royal Corin Thermal Water & Spa Resort is centrally located near all mayor attractions. We recommend you to take the shortest and most scenic route, passing through the small town of San Ramón de Alajuela, approximately 150 kilometers from the capital. The trip from San Jose to the hotel takes approximately 3 ½ hours. We recommend driving during the morning or early afternoon, before darkness, as you could run into thick fog in the late afternoon and after sundown, especially during the green season (May-December). Take the Inter-American Highway North (it will pass the Juan Santamaría Airport) until you reach San Ramón (approximately 56 km from the Airport). The entrance is on the right-hand side of the highway and you will see a road sign for Arenal Volcano. Turn toward San Ramón and continue straight on the main road until it hits the main avenue cutting through the city. Turn left and continue two blocks to the San Ramón Hospital. There you will see another Arenal Volcano sign telling you to turn right, following the road to La Fortuna town. Along the way, you will come across two more signs for Arenal Volcano. crossing over a small metal bridge to reach it, and then turn to the left when you reach a small square. until you get to La Fortuna town. This section is approximately 44 km. 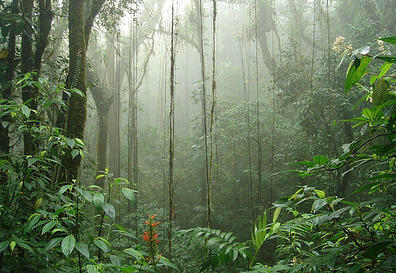 Once in La Fortuna, we will be located 4.5 km on the main road towards the volcano. 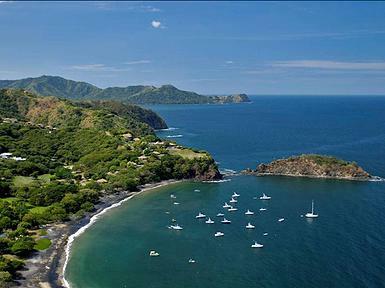 From Liberia Airport or from the main beach resorts in the Guanacaste Region, we recommend driving west to Liberia, take highway 1 south closed to 45 minutes to Cañas passing trough the town looking for Tilarán. Once in Tilaran follow signs to the Arenal Lake and Volcano. Within 15 minutes you will reach a fork on the road. Stay on the left, following signs to La Fortuna, and Arenal Volcano. Stay on the scenic road that takes you around Lake Arenal. Drive for about 90 minutes, passing the town of Nuevo Arenal and the dam that forms the lake. Continue east towards the volcano and the town of La Fortuna. Stay on this road for approximately 15 minutes after the dam of the Lake Arenal to find our hotel. Follow the signs Las Nubes, Dos de Tilaran, Quebrada Grande and Tilaran. Take the scenic road bordering the Arenal Lake. The drive should take between 3 to 3.5 hours. Once in Tilaran follow signs to the Arenal Lake and Volcano. Within 15 minutes you will reach a fork on the road. Stay on the left, following signs to La Fortuna, and Arenal Volcano. Stay on the scenic road that takes you around Lake Arenal. Drive for about 90 minutes, passing the town of Nuevo Arenal and the dam that forms the lake. Continue east towards the volcano and the town of La Fortuna. Stay on this road for approximately 15 minutes after the dam of the Lake Arenal to find our hotel. 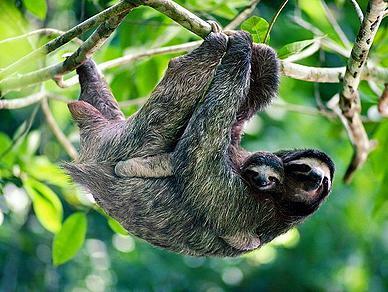 If you are coming to the Resort from Manuel Antonio, we recommend that you take the shortest and most scenic route, passing through the small town of San Ramón de Alajuela. 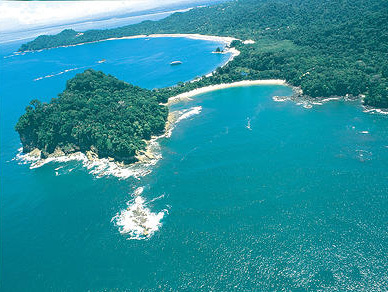 The trip from Manuel Antonio to the hotel takes approximately 5 hours, from Jaco it is about 4 hours. We recommend driving during the morning or early afternoon, before darkness, as you could run into thick fog in the late afternoon and after sundown, especially during the green season (May-December). Take the road to Playa Jaco on the way you will see sings like Parrita Town, Jaco, and then you continue with signs to Orotina, San Mateo, and Esparza. At Esparza you must turn right. Now you are driving on the highway with direction to San Ramon. The entrance is on the Left-hand side of the highway and you will see a road sign for Arenal Volcano. Turn toward San Ramón and continue straight on the main road until it hits the main avenue cutting through the city. Turn left and continue two blocks to the San Ramón Hospital. There you will see another Arenal Volcano sign telling you to turn right, following the road to La Fortuna town. Along the way, you will come across two more signs for Arenal Volcano. Follow the signs to La Fortuna and Arenal Volcano. You will pass through a number of small towns, such as Los Angeles, Balsa and then Bajo de Los Rodríguez, where you will come to a toll-booth (not in function) in the middle of two roads. At this toll booth turns to the right. Continue through to the town of Santa Clara, crossing over a small metal bridge to reach it, and then turn to the left when you reach a small square. Then, you will drive through a few more towns such as El Tanque (19 km before get to the property) until you get to La Fortuna town. This section is approximately 44 km.